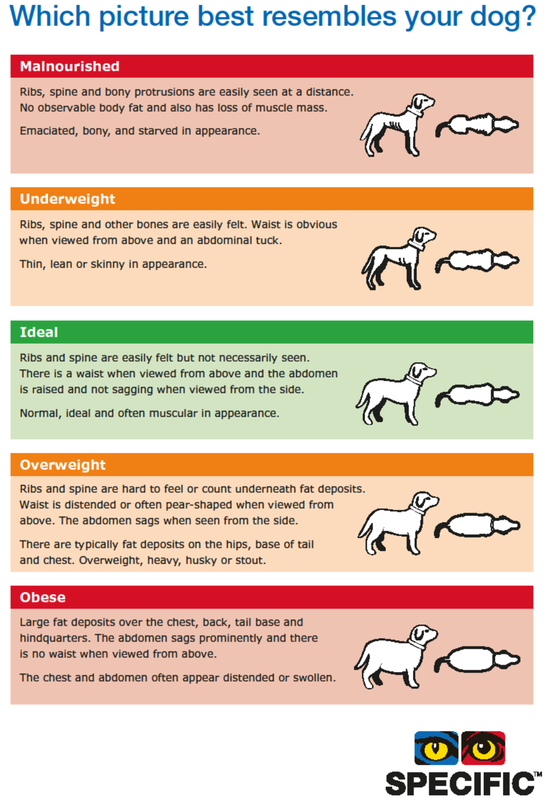 What is SPECIFIC Canine Special Care Sensitivity Plus dry food? 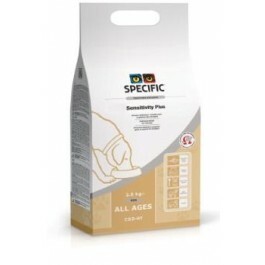 SPECIFIC Sensitivity Plus is a complete and balanced dry food for dogs that suffer from both food allergies and reactions to external allergens. The limited number of ingredients and hydrolysed proteins make this diet less likely to cause allergic reactions. The recipe is made with a limited number of high-quality ingredients, including hydrolysed salmon and rice, which are easy to digest and are less likely to trigger an allergic reaction. Due to the high digestibility, this food is also suitable for dogs with digestive problems. SPECIFIC Sensitivity Plus contains multiple ‘skin supporting’ nutrients such as Omega-3, Omega-6, Vitamins A, E, and B complex, and Zinc and Selenium. These help to support healthy skin, improving barrier protection against environmental allergens. The high levels of Omega-3 from fish to support the natural anti-inflammatory process, which help to soothe allergy symptoms. This food is suitable for dogs of all ages with multiple allergies, both food related and environmental. Suitable for dogs with digestive problems. What are the benefits of using SPECIFIC Canine Special Care Sensitivity Plus dry food? What is in Specific Canine Special Care Sensitivity Plus dry food? Crude Protein 22.8g, Crude Fat 15.3g, Carbohydrate 40.8g, Crude Fibre 6.1g, Calcium 1.08g, Phosphorus 0.88g, Sodium 0.33g, Zinc 23.9mg, Omega-3 2.37g, EPA 0.73g, DHA 0.96g, GLA 0.08g, Water 8.5g, Ratio n-3:n-6 1:1. 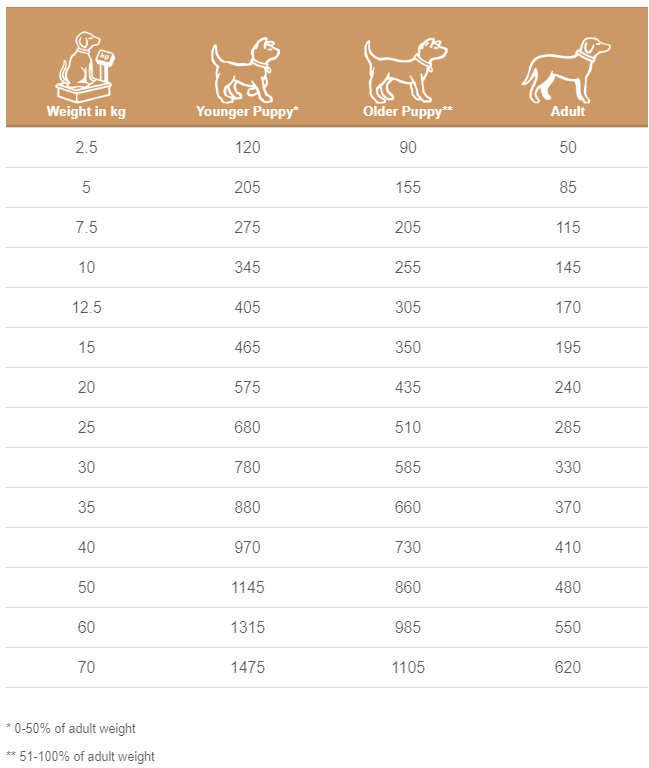 How much SPECIFIC Canine Special Care Sensitivity Plus dry food should I feed?